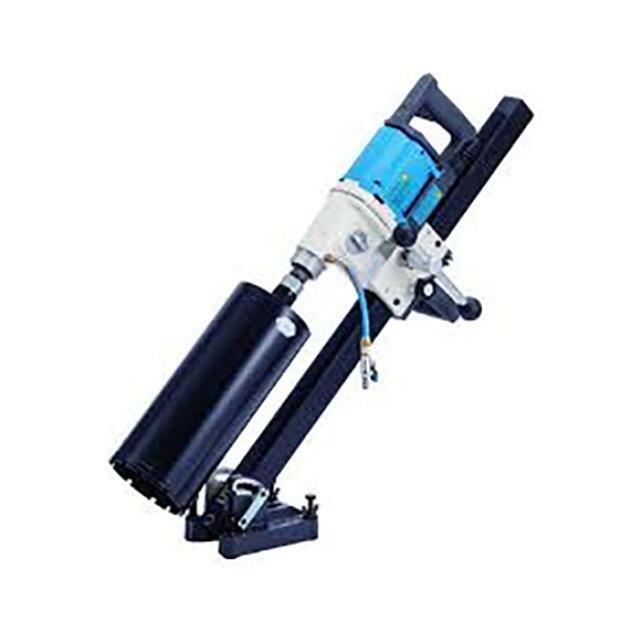 Uses: Used drilling large holes through concrete slabs & tilt panels for plumbing, footings or electrical. Features: Electric driven motor. Large range of diamond tipped core bits. Special Requirements: Water required during operation. Diamond Core Bits. Any core over 65mm must use drill stand bolted to concrete.